Maison Des Fleurs is a tourist services agency based in Maiori, on the Amalfi Coast, born from the contagious enthusiasm of hospitality professionals and hospitality. They personally manage a homonym residence located in the heart of the town and select, at the same time, numerous holiday homes, apartments and villas for rent between Maiori, Conca dei Marini, Amalfi, Atrani and Scala. The proposed structures are able to satisfy any travel requirement, making it ideal for families, couples and groups of friends, who prefer all the comforts that only a private accommodation can guarantee, that is convenience, privacy and freedom to organize any moment of leisure day. Do you want to spend your holidays in Maiori? The apartments for rent of our Residences are for you! The Maison Des Fleurs and Residence l'Orchidea facilities, for example, offer modern, central holiday homes just a few steps from the sea. 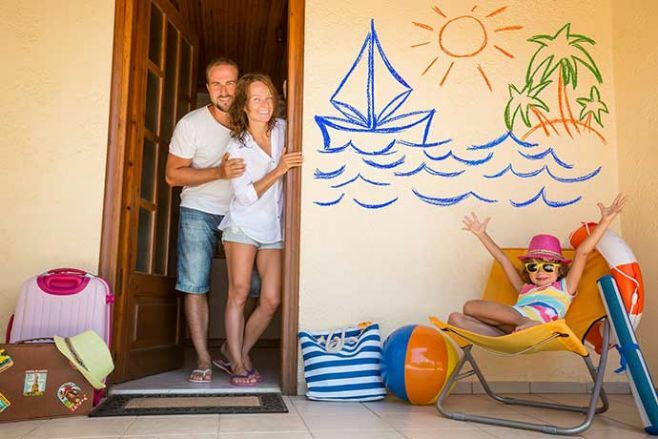 Availability of family rooms, free Wi-Fi throughout the hotel, garden and sun terrace. A wide selection of vacation rentals for rent in the city center and sea view apartments in Maiori, Conca dei Marini, Amalfi, Atrani and Scala. The most welcoming places on the Amalfi Coast are waiting for you. Live fully by booking a fully furnished family apartment or studio apartment with all the necessary amenities. 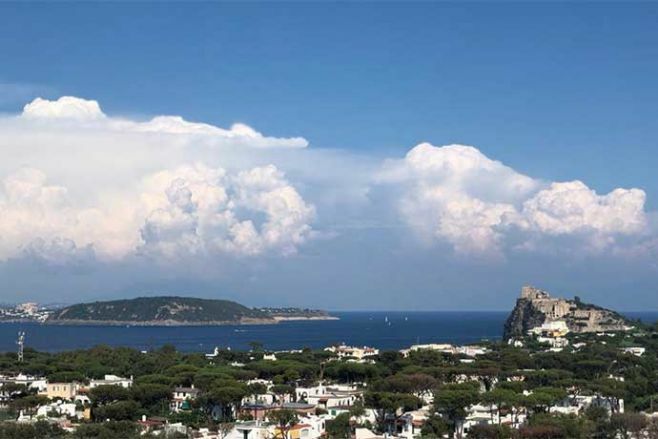 Holiday home to rent in Ischia? Maison Des Fleurs takes you into the heart of the island, Villa Giulia is a completely renovated apartment with an amazing manicured garden, and to top it off, it's equipped with every modern comfort. Enjoy great sea views from the terrace! 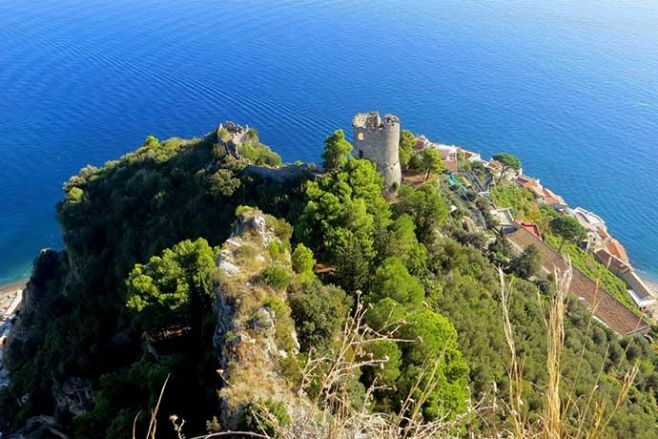 We offer a daily program of excursions to visit the Path of the Gods, Valle delle Ferriere, Villa Rufolo and Villa Cimbrone in Ravello, the path of lemons in Maiori and many other beautiful paths that the Amalfi Coast offers to all tourists along the ancient streets of connection of the Amalfi Coast. Mule tracks and paths that wind through hills overlooking the sea. You walk among lemon groves and small gardens torn from the mountain, you meet on the way goats and mules, you come across hermitages and convents until you find yourself suspended on cliffs overlooking the sea. The staff offers continuous assistance, which lasts from the moment of booking the accommodation until the day of departure, catapulting guests in a family atmosphere made of thoughtful tips on the typical lifestyle of the Amalfi Coast, personalized itineraries and guided trekking excursions to admire the infinite beauties and why not ... of funny evenings between barbecue and pizza on the terrace with their nice family, to really feel at home! Whether for a long summer stay between June and August, for a last minute weekend or for a holiday of pure relaxation, our agency will offer you the best solution. Apartments in residences equipped with gardens and solariums or fabulous holiday homes with sea view? Contact us and create with us your holiday on the Amalfi Coast. Relax and Comfort for Your Holidays? Feel at home...on the Amalfi Coast! Find the perfect apartment for your holidays easily from the country you'd like to visit. 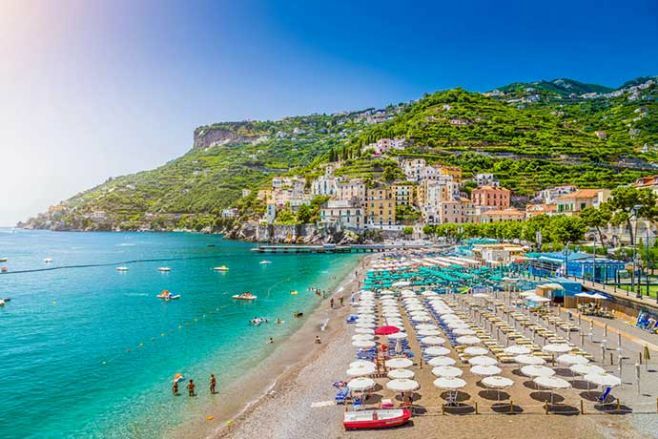 That the Amalfi Coast is all to be seen is known, but preferring a specific location will help you to understand the type of stay that awaits you. Maison Des Fleurs has selected for you comfortable, exclusive accommodation, well separated from the chaos, but perfectly integrated into their city context. You just have to discover the main peculiarities of Maiori, Conca dei Marini, Amalfi, Atrani and Scala, and let yourself be fascinated by their landscapes. Book your apartment in Maiori! Maiori is the seaside tourist destination par excellence. With its kilometer-long beach, it commands the other resorts for its variety of beaches, lounge bars and kiosks located near the coast. Its center is Corso Regina, a strategic artery full of shops, bars, pizzerias and restaurants, which leads to the city's scenic seafront. Book your apartment in Minori! Minori is a little and snug city. Its nicknamed is "The City of Taste", because of the famous culinary and cultural event "Gusta Minori" (A Taste of Minori) hold in summer every year. Its white little houses positioned on the sea cliff is the image that more represents the city. The ancient Roman Villa is an unmissable place to visit. 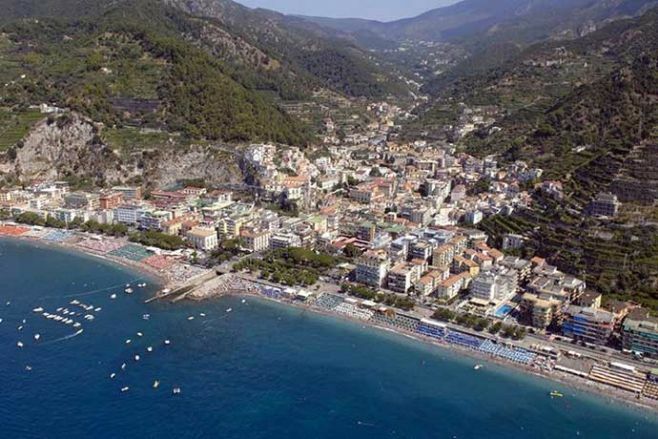 Book your apartment in Conca dei Marini! 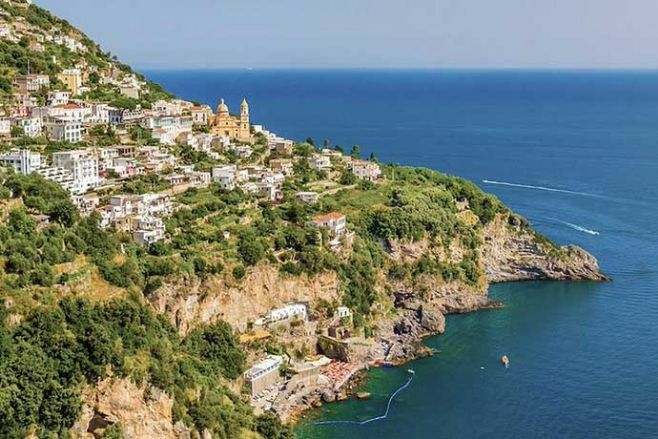 Conca dei Marini is an ancient fishing village where you can fully breathe its extreme contact with the sea and the verdant nature that surrounds it. It is part of a unique panoramic view of the world and jealously guards one of the most evocative natural creations of the Amalfi Coast: the Grotta dello Smeraldo. 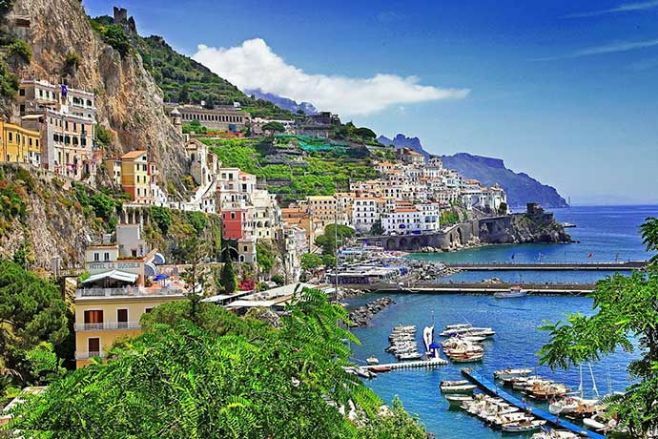 Book your apartment in Amalfi! 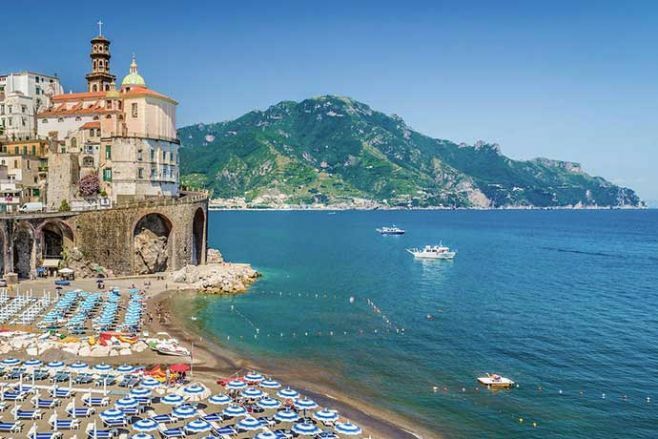 Amalfi is the beating heart of the Amalfi Coast, the country that gives its name to the entire territory and preserves an important piece of history. It is one of the Ancient Maritime Republics of Italy and its splendor continues to live among the ancient buildings of the village, the medieval streets and the majestic Cathedral dedicated to Sant'Andrea. Book your apartment in Atrani! Atrani is a reality in itself that among other things is positioned at the top of the ranking of the smallest municipalities in Italy. Its tiny old town and its houses perched on the mountains have given it the name of "crib country". Fascinated and enchanted, rich in arches, alleys, courtyards and squares, Atrani is one of the spearheads of the Amalfi Coast. Book your apartment in Scala! Scala is not directly washed by the sea, unlike the other locations, but as the nearby Ravello enjoys a memorable panorama. 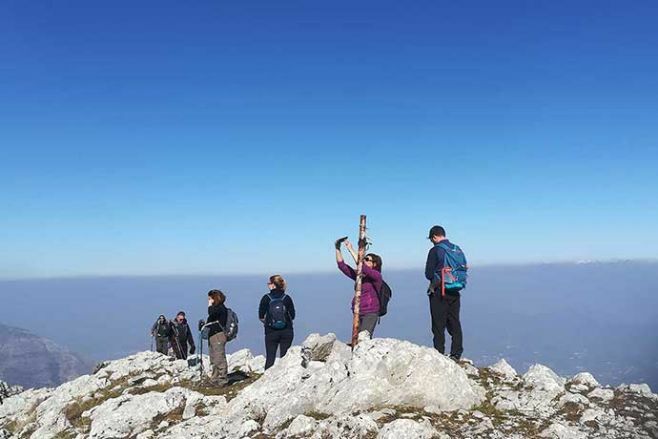 It is the favorite destination for lovers of trekking, absolute relaxation, tranquility that does not bore, but helps to discover with caution a world steeped in art, history and culture. Do you want to rent a holiday home on the Amalfi Coast, but do not know how to move and how to reach all the main attractions? Do not worry, you can request our assistance for any additional service: grocery delivery (where possible), catering services, airport shuttle and shuttle service, car hire and bike rental. Traveling has never been so easy! Submit your booking request and we will create your package together.